The allure of stopping cold turkey is simple: you cut it all out and try not to think about it. Shut it all away into a deep dark corner of yourself and try to run from the terrible cravings that come after. Where many consider weaning off drugs as something too challenging to even attempt, going “cold turkey”, or quitting all drug use abruptly, is very much like ripping a Band-Aid off as fast as possible. There are pros and cons to this approach. The pros are obvious – it’s easier. For the most part, at least. Going cold turkey, especially when paired with the right environment, is the fastest way to overcome the short-term effects of drug addiction. That doesn’t mean you’re ‘cured’ afterwards, but you do get to a level of complete and lasting sobriety much sooner than if you decided to take things slow and reduce your drug intake over time. The cons, however, can be significant – depending on your addiction. The two things to worry about when going cold turkey are 1.) stronger withdrawal symptoms, and 2.) a drastically and immediately-reduced tolerance to your drug of choice, making a relapse not only incredibly potent and alluring, but potentially deadly. Some drugs need to be quit cold turkey, like cigarettes. While uncomfortable, cigarette smoking kills more Americans than anything else on the planet. Cigarettes are still responsible for more deaths than other lifestyle-related heart diseases, drug overdoses, car accidents, and a long list of diseases and illnesses. 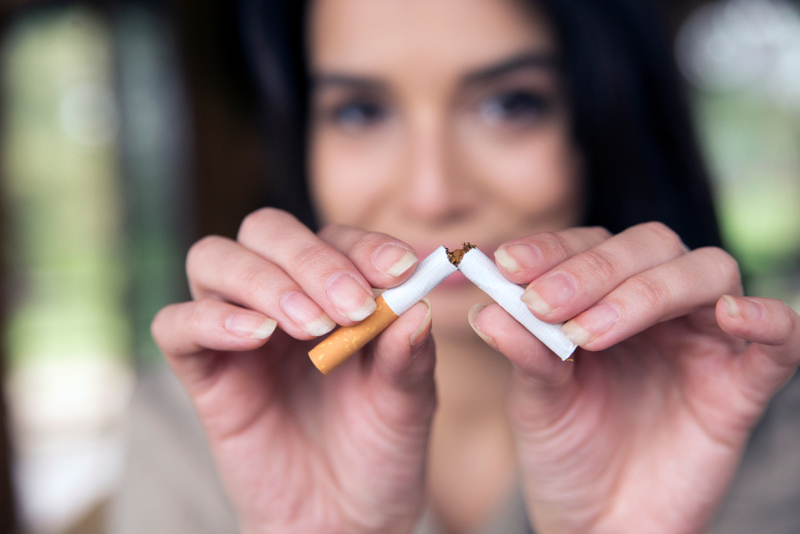 Cancers, heart problems and respiratory failure induced by long-term cigarette smoking claim the most lives out of any drug and quitting immediately is your best bet to quitting completely. Other drugs can actually pose a serious threat to your health if you quit suddenly and abruptly. Drugs that primarily slow the body down (alcohol, sedatives, anti-anxiety medication, tranquilizers, depressants, opioids, and glucocorticoids) can lead to very dangerous and even deadly withdrawal symptoms. Alcohol and other depressants like benzos and barbiturates are the most dangerous drugs to go cold turkey on, because the withdrawal symptoms can potentially end your life. Several factors affect the severity your withdrawal symptoms, including your physical health, your current lifestyle, age, the severity of your drug use, and how long you have been using drugs. It’s impossible to say whether quitting cold turkey would be dangerous or a good idea, but one thing is for certain: it’s best to go cold turkey under medical supervision, regardless of your addiction. Withdrawal symptoms seem like one big mistake in nature’s eye, but they’re a side-effect of having drugs slowly but surely leave the system. The severity of an individual’s drug withdrawal symptoms depends not only on the drug of choice, but underlying issues such as masked malnutrition, sleep deprivation, infections, and chronic pain, as well as the method through which the drug was introduced into the system, and more. When you start taking drugs, the drugs interfere with the brain’s normal means of communication: neurotransmission. Neurotransmitters are chemicals released on a regular basis to help manage every autonomous function in the body, as well as effect mood and behavior. Drug use can also upset the body’s natural homeostasis, or balance. If your neurotransmitters and hormone levels are going haywire, systems that should be functioning regularly are not functioning at all. Meanwhile, over-stimulation due to staying consistently high can at times damage the brain’s ability to send signals from one area to the next, as well as creating a new “normal” only sustainable through consistent and repeated drug use. This leads to two things: first, tolerance after drug dependence. This is characterized by needing a higher dosage of the usual drug to elicit the same effects, because the body has gotten used to the old drugs. Secondly, withdrawal symptoms. Quitting causes the body to try and quickly revert back to homeostasis as the remaining drugs are metabolized and disposed of. This can lead to physical and emotional shock. Most withdrawal periods last from anywhere between a few hours to a few days, depending on the drug and the severity and nature of the addiction. Some drugs can cause post-acute withdrawal symptoms, wherein withdrawal symptoms resurface after a few days or weeks of sobriety. Most anecdotal accounts of withdrawal draw parallels between withdrawal symptoms and viral attacks such as the flu. While symptoms differ from drug to drug, common symptoms include nausea, vomiting, diarrhea, shivering, and extreme emotional shifts. Antidepressants may be prescribed during and after an intense stimulant withdrawal period, to prevent lasting depressive effects. They are not always effective, and therapy may be necessary to treat lasting depression as well as continued cravings and addiction. Should You Go Cold Turkey? It depends. Ideally, you should go to a local addiction specialist and request help through addiction treatment, either through a residential treatment center or an outpatient program after going through detox with medical attention. Going over your addiction history with a doctor can help make the decision to either wean off or cut off. It’s unwise to stick to medical advice taken off the Internet, so be sure to consult a doctor before deciding anything – especially if you plan to go cold turkey at home.